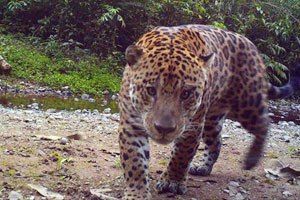 Jaguar Population Monitoring Program. Argentina. 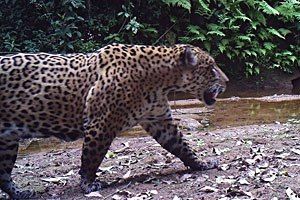 Knowing how many jaguars are living in different regions and how these populations behave over the time, gives us information about its health, threats and intervention needs that they require to ensure their survival, as well as information for decision-making. All this information is kept in dynamic databases and is pooled with that generated by other groups of researchers of our country. 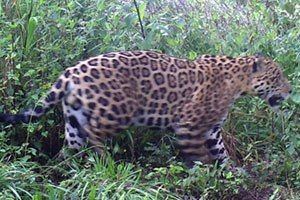 One of the goals that are being pursued is to form a single database that provides all NGOs and diferent governments, both national and provincial, a complete and constantly updated knowledge about the state of health of the jaguar in Argentina. 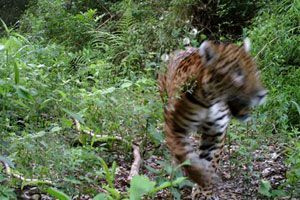 For that we carry our Yaguaretés Population Monitoring Program in Argentina, to know as accurately as possible where Jaguars still move. 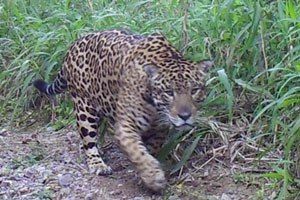 It is one of the last Jaguars of southern Misiones Green Corridor. 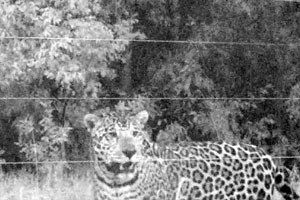 He was detected by our camera traps for the first time in December 2013. Region: Selva Misionera (Upper Paraná Atlantic Forest). 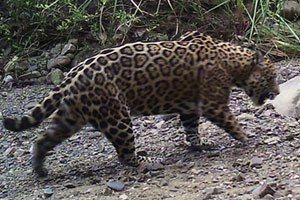 Registered for the first time in 2014 and then again in 2015, seems to be one of the dominant males of Baritú National Park, large and physique. Robust male living in the heart of Baritú National Park, in Salta. 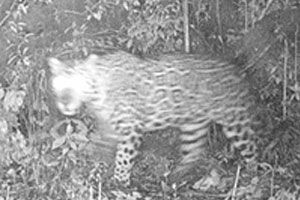 He was detected by our cameras for the first time in 2014. It is a very robust male who lives in the highlands of Salta Yungas, even in winter even with very low temperatures. In its territory we have also seen Norma and Rosaura. We first photographed him in 2012. 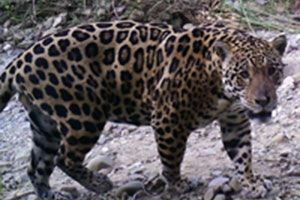 It is big male living in Baritú National Park and sorroundings, in the province of Salta. We know him since 2012. Male we recorded north of the Lipeo River and at El Nogalar National Reserve, in Salta. It is a vigorous male, very curious and interested in cameras, so it is often photographed. 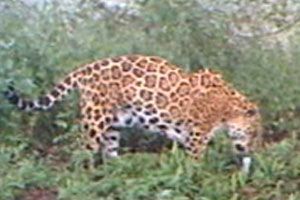 He lives in the Baritú National Park (Salta). We detected him for the first time in 2012. Big individual registered only one time in 2014 inside the Baritú National Park. Fortunately in 2015 it was recorded on several occasions. It has no name yet, do you want to vote for its name? Participates in the contest. 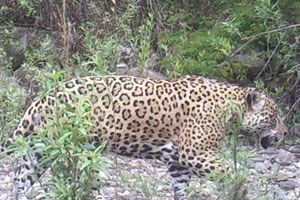 It’s a male registered only one time in Baritú National Park in 2014. It has the peculiarity that lacks “hand” of the right foreleg. However, it seems to be in good physical condition. This adult female lives near the El Nogalar National Reserve (Salta) and is often recorded marking his territory, which she shares with Fulvio, Norma and Severino. We first met her in 2011. “The Visitor”, as his nickname in Guarani means. 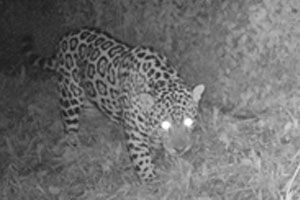 He was the first Jaguar recorded arround our electrified fences (although not attacked calves) in mid 2014. Then we never meet him again. Will he been displaced by Mombyry? Will he been hunted by farmers? Will he be sought territory in another area? “Ghost”. She appeared one night in one of our most remote stations and we only got blurred images. We assume that is a female, but since that meeting in 2011 we didn’t see her again. We hope repeat soon studies in the area and see her again.